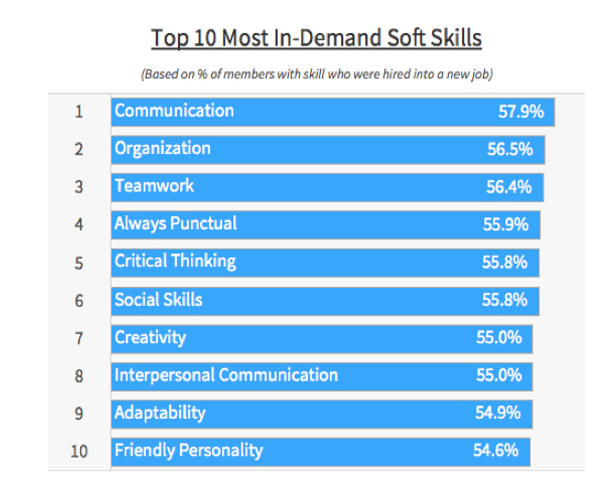 What exactly are soft skills? These are skills that do not depend on testable knowledge. They focus on attributes such as social interactions, life management, and employability skills. The job market of today looks a lot different than it did 20 years ago, or even five. Industries of the future rely on robotics and artificial intelligence to perform many routine jobs of our past. And still, today’s economy depends on services that cannot be performed by a machine. As our students head out to perform jobs that have not yet been invented, we can ensure they aren’t replaced with machines by preparing them with soft skills. Yes, academics and technical skills are important for students to get ahead. However, soft skills are required for students to stay ahead. I wanted to share some interesting data recently reported by LinkedIn regarding soft skills and the industries that rely heavily on them. Does anything on this list surprise you? These are all skills we use in our daily lives! 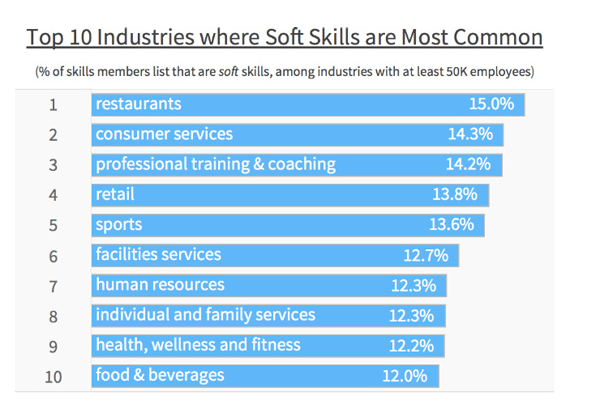 In the following chart, industries that commonly have employees with strong soft skills are listed, but this is by no means a comprehensive list of fields in which they are needed. As educators, we want to make sure students have all the tools they need to be successful in college and careers. For students to stand out on college applications and resumes, their soft skills must shine through on their applications. This entry was posted in Homeschool Edition, Parent Edition, Student Edition and tagged Advisement, Career & Technical Education, Career and Technical Education, Career Readiness, College and Career, Soft skills on September 13, 2018 by Guest Blogger. Our student activities and events are a great way to hone in on those communication skills! 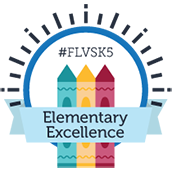 Visit http://www.flvs.net/clubs to learn more about ways your child can get involved. In December, we also celebrate Computer Science Education Week – so stay tuned for future contests and details about this year’s Hour of Code event! 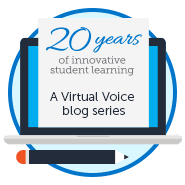 If you aren’t subscribed to our blog, you can sign up for email updates here: http://blog.flvs.net/subscribe. I agree. Even simple and common sense manners seem to be lacking in many of today’s young people.